Who are the UEFA Nations League next gen? So your country didn't qualify; what now? Buffon to launch singing career? All you need to know about the UEFA Nations League. One of the novelties of the new Roberto Mancini era at Coverciano is the music blaring out during Italy training. Queen, Miley Cyrus, The Rolling Stones, and The Killers have all been on the playlist, while the players warmed up to Robbie Williams' "Love my Life" earlier this week. Whether this particular track had been chosen for the subliminal message it has the potential to deliver remains a mystery, but Mancini's desire to create a feel-good vibe should bring is understandable after how miserable the experience had become under his predecessor Giampiero Ventura. "I didn't see a great deal of the World Cup because I was disappointed not to be there," Chelsea and Italy midfielder Jorginho admitted. "But from what I did see I don't think there is too big a gap between us and the other teams." Mancini felt the same, even though Italy's world ranking of 21 has never been lower (behind Wales and Peru.) "Aside from Brazil I don't see anyone superior to us," he said a couple of days before the quarterfinals. Though that looks a little odd in hindsight, especially when you consider how France warmed up for the tournament by putting three goals past Italy, and hitting the woodwork twice in 'Mancio's' second game in charge. Make no mistake, the posturing comes from a place of humility. Mancini has merely sought to dust Italy off and affect a change in mentality after Ventura made a habit of talking the team down in his disastrous 14-month spell. There is an encouraging foundation to work with and a promising generation coming through. A year after the under-20s made it to the semifinals of the World Cup, Italy's U17 and U19 sides reached the final of the European Championships over the summer, losing on penalties and in extra-time respectively. The star of the U19s, Nicolo Zaniolo, a 6-foot-3 midfielder who has been scoring goals for fun at youth level -- a trait which has somewhat unhelpfully earned him the hype-generating nickname of "the new Steven Gerrard" -- was among the many new faces in the extra-large 31-man squad Mancini named for the upcoming Nations League games against Poland and a Ronaldo-less Portugal. Remarkably, Zaniolo wasn't even the youngest as Mancini also drafted in 17-year-old striker Pietro Pellegri fresh from celebrating his first goal in Ligue 1 for Monaco, who he joined from Genoa for €25m in January to become one of the most expensive teenagers of all-time. Mancini's aim was simple: To highlight Italy has got talent and to recommend that they stop overlooking it, believe in it and continue to develop it. One focus in Florence this week has been on pathways and more game-time for Italy's kids and Italians in general. 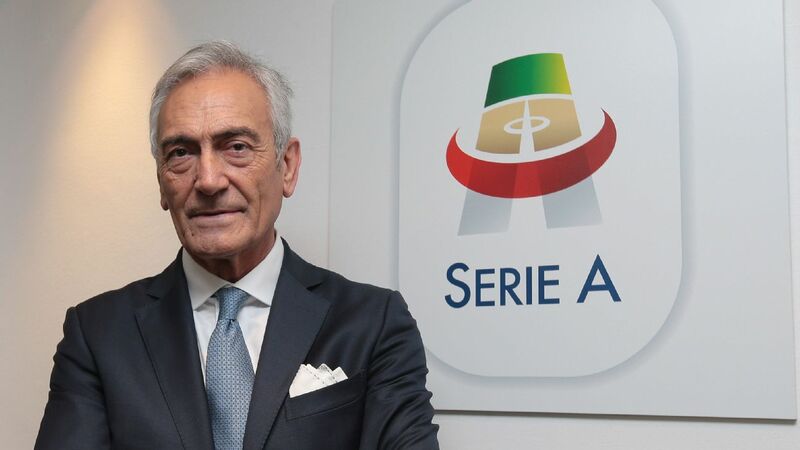 Mancini lamented how only 39.66 percent of the players used in the first three matchdays of the season in Serie A are eligible to be called up for the Azzurri. When Italy won the World Cup in 2006 it was 71.32 percent. "In my three months in the job the situation has got worse," Mancini complained. "I don't want to get into the decisions the clubs are making but some of the Italians who are being left out are a lot better than the foreigners who are playing." The hypocrisy wasn't lost on those who remember Mancini fielding an all-foreign XI when Inter played Artmedia Bratislava in the Champions League in 2005, which while in keeping with the spirit of the club and the motive for its foundation, came at a time when the pool of Italians in Serie A was close to double what it is today. Which isn't to say Mancini should accept the situation and keep his counsel, awareness needs to be raised, but the pressures of club football can lead managers to think about their own priorities and not the national interest. These are not exclusively Italian problems of course, and the sample size of three matchdays is a small one. Go back to last October and a CIES study showed 61.2 percent of players in the Premier League were foreign, compared with 55.1 percent in Serie A and 50.5 percent in the Bundesliga. While the dwindling pool is something to be worried about, it's hard to think more Italians won't assert themselves in the coming months. Football in August often feels like an extension of preseason as managers and players alike are still figuring things out. While having the summer off should have given Italians a head start on their colleagues with World Cup commitments, the short break has, to some extent worked against them, as those who went deep in Russia are still match fit. Look at Croatia's Mario Mandzukic and France's Blaise Matuidi. But consider also what Federico Bernardeschi (24) and Federico Chiesa (20) have been up to at Juventus and Fiorentina. Matteo Politano, 25, who has looked the best of Inter's signings, isn't even in the squad. More generally, teenagers like Gianluigi Donnarumma have established themselves -- with some hiccups -- or moved onto play abroad like Pellegri to a team in Monaco with a great recent history of developing talent, especially strikers. While it doesn't help that some pathways have been closed off-- Serie B for instance is a 19-team league rather than 22-team one and Juventus are the only club organised enough to observe new reforms and enrol an U23 side in the third division -- the cream is still rising to the top, which bodes well for the U17 and U19 classes in the process of graduation. OK, a new Roberto Baggio or Francesco Totti is still to emerge but these are all-time greats. They don't grow on trees and comparing this team to the 1980s and `90s vintages gets you nowhere. The raw material is decent, certainly better than what Antonio Conte had at the Euros in 2016, and the intention under Ventura was to refine it into a team capable of challenging in 2020. For all the Queen and Robbie Williams on Italy's playlist, Mancini would perhaps do well to skip to its middle section where 'Jump' by Van Halen is followed by Imagine Dragons' 'Believer'. This is the mindset the Azzurri need to adopt in the rest of 2018.